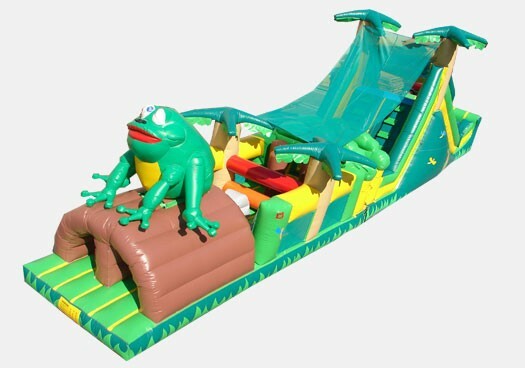 The Tropical Obstacle Challenge (with frog) is the perfect Commercial Inflatable Obstacle Course for your rental business, school, church, or other institution. Bounce through this exciting Tropical frog themed obstacle course year round. Made with a high quality 18 ounce PVC Vinyl material, this inflatable was built to last.